Does The Amex Blue Business Plus Card Earn “Real” Membership Rewards Points? Just under a week ago American Express introduced The Blue BusinessSM Plus Credit Card, which is a fantastic new card. As far as I’m concerned, this is the single most lucrative credit card out there for everyday, non-bonused spend. The card has no annual fee (Rates & Fees), and offers 2x Membership Rewards points on the first $50,000 spent on the card per calendar year. I value Amex points at ~1.7 cents each, so to me that’s the equivalent of a ~3.4% return on spend, which is unrivaled. One question I’ve been getting quite a bit about this card is whether the Membership Rewards points that it accrues can be transferred to Amex’s airline and hotel transfer partners. Historically most American Express no annual fee cards accrue “Express” Membership Rewards points, which can’t be transferred to Amex’s airline partners. However, in conjunction with a card accruing “real” Membership Rewards points, those points can historically be pooled. 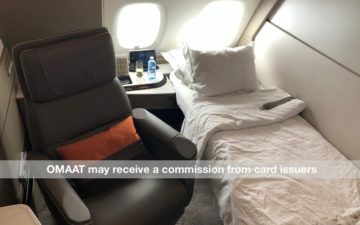 However, that’s not even an issue here, as the Membership Rewards points earned with the Blue Business Plus Credit Card can be transferred to all of Amex’s airline and hotel transfer partners. This is incredible for a no annual fee card. Card Members have the choice to redeem the points for travel, statement credits, gift cards, or merchandise, and they also have the option to transfer points to one of our participating airline or hotel loyalty programs. On top of that, Table 2 in the Membership Rewards terms & conditions shows that this card earns “premium” Membership Rewards points. So why does all of this matter? Because if you have an Amex Membership Rewards card with an annual fee but want to cancel it, you’ll forgo the points if you don’t keep open a card that earns Membership Rewards points. The Blue Business Plus Credit Card is a card you can keep open with no annual fee, allowing you to cancel other cards with annual fees that might not be worthwhile anymore. That’s just another reason to consider this card, as if there weren’t enough reasons already. There are good credit cards, and then there are credit cards that seem too good to be true. The new Blue Business Plus Credit Card certainly fits in the latter category. It’s incredible (and almost puzzling) that the best credit card out there for everyday, non-bonused spend is one that has no annual fee, and the card even accrues Membership Rewards points that can be transferred to partners, rather than the “Express” points earned on other cards. Lucky, you got me. Just used your link and pulled the trigger on this for my “business” and got instant verification. If Amex counts the aggregate of personal and business cards toward their max (do they?) I think I’m there. If so, it might be time for a purge (I’m talking to you, Delta Skymiles card) if this is the case. On what basis do you value AMEX Membership Rewards (MR) points at 1.7 cents each when many of the underlying transfer partners points are valued at barely above a cent and the MR point cash value is, for most options, worth less than a cent? Chase Ultimate Rewards points always have a cash value of one cent. Thus, the AMEX MR returns you quote are less probable than lower returns and require additional user effort or travel compromise to achieve. I would be grateful for insight into what I am missing here. If you have a current business card, it cannot be converted into this product. No product conversions into this card per Amex. Most miles I’ve seen for air travel range from 1.5 cents to 3.5 cents for business and first class, respectively. Part of the value is being able to book a high end ticket on short notice and not have it cost any more than if you booked a year in advance, and part of the value is being able to transfer to so many partners (AMEX has more transfer airline partners than Chase or Citi, so you have a higher cross section of airlines to find the flights you want on). So really, the 1 cent value with AMEX, or 1.25-1.5 cents with Chase (if you have a Preferred/Reserve card and can transfer) is a floor for the value, not a ceiling. SOME bloggers value AMEX at up to 2 cents, but I think that’s hogwash. 1.7 is a pretty sober assessment of the potential value you can get. So if this card is too good to be true, what type of annual fee do you see this getting added to it? 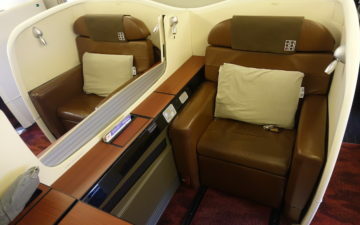 Right now, the combination of Amex Platinum and Blue Business Plus looks amazing. Platinum gives you 5X MR on all air travel purchases, plus all of the advantages of Platinum (concierge customer service, free Boingo, $200 for Uber, $200 airline credit, etc) and Blue Biz Plus gives you 2X MR on all other purchases (up to $50K). I spend about $20K annually on air travel and another $40K on hotels, rental cars, business/travel meals, etc … that adds up to 180K MR annually. Even if I only value them at 1 cent, that’s $1800 return for me. 2.7% foreign transaction fee… Gotta watch out where you use this card! Otherwise, it’s got quite an earning potential for MR! Eric you should look at amex platinum business open. Even with an additional $450 fee. It’s offset by $200 extra in airline fees and to redemption bonus is very nice for business/first class tickets and the stated economy airline u choose. It would give you the equivalent of 250k+ tickets after he bonus gets nerfed down to 35% rebate. 70k and an additional $200 in airlines fees is worth $450. Plus the 75k bonus in points gives you an even better incentive. Thats a great trifecta of cards. Amex everyday on top is good too but that’s getting crazy.